WELCOME TO THE GOSPEL EXPRESS!! 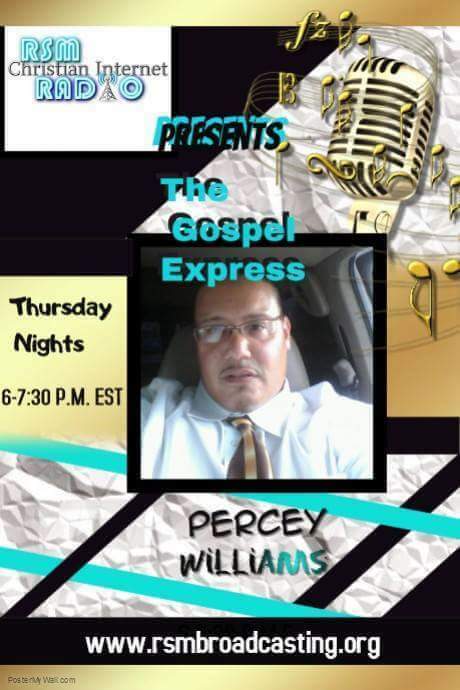 With your host Percy Williams. Having been in radio for nearly 30 years Percy has traveled throughout Va and NC bringing his talents and unique blend of radio personality and Gospel music to the airwaves. He is the creator and host of “The Gospel Express” heard here on RSM Christian Broadcasting. We hope that you will visit each week at 6pm Eastern time when you will hear the best in Traditional and Contemporary Gospel.